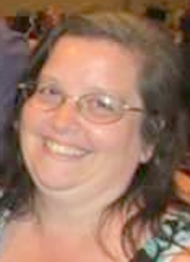 Stephanie K. “Kaye” Fisher, 51, of Lititz, passed away on Friday, April 5, 2019, surrounded by her family. Born in Lancaster, she was the daughter of Kenneth and Anne Myers Loechner of Lititz. Kaye had worked for over 20 years at Moravian Manor as a Certified Nurses Assistant, as well as for 5 years at Luther Acres as a rehab aide. She had been attending York Technical Institute until the time of her illness where she was studying medical coding and billing. She was a “mom” to everyone and her house was always open. She had a heart of gold and was loved by all. She loved to attend her children’s’ events and their friends events as well. Kaye was a member of St. James Catholic Church and also a member of the Lititz VFW Auxiliary. In addition to her parents, she is survived by her children: twins Kara and Erica Fisher of Lititz, her son Nick Fisher of Ephrata and was the legal guardian of Natalie Beckman. Also surviving are her siblings: Debbie Lefever of Lititz, David Loechner of Leola and John Loechner of Lititz. Friends will be received on Thursday, April 11, 2019 at St. James Catholic Church, 505 Woodcrest Ave., Lititz, PA from 10-11AM, with the Mass to follow at 11AM. Interment in St. Joseph New Catholic Cemetery. As blue was Kaye’s favorite color, her family asks that those attending wear blue in her memory. I just read this and am sooo sad to hear of her passing! She was truly a person who resemblemed the characteristics of Christ. She graciously put others first and took in many who needed someone to call “mom”. She was a “mom” to many not just biologically and I’m sorry to hear that her legacy on earth is finished. Kara, Erica, Nick, and Natalie- and all of her other family, friends- my deepest sympathy as you grieve this precious woman who was so full of love. Kaye will definitely be missed. So sorry to hear of Kayes passing. No words can express how very sorry I am to hear of Kaye’s passing. She was my best friend throughout our childhood, such a kind heart always. I only have happy memories of her, she was just simply beautiful. So glad I got to meet her daughters. She was so very proud of her children. Please know, my thoughts and prayers are with you all. My deepest sympathy. I’m so sorry to hear the sad news of Kaye’s passing. I remember Kaye from midget football days. We sat together and chatted mostly about our kids. She was a fabulous Mom! I’m so sorry Kara, Erica and Nick have lost their Mom. She was a wonderful person! I am so sorry for your loss . Kaye was a special lady . I got to know her at Moravian Manor , I worked in the cafe , I made her lunch all the time. She was a very caring person . May God Bless you all . Rest in peace Kaye . Dearest Anne and family of kaye, I dont have enough words….I knew kaye for so many years and we have so many good times at the manor ! She was so inviting to everyone, opened her home and heart to all…. she ADORED her kids , they were her life! I will think of her and smile, we have lost her here , but heaven has gained an angel… I am just so sad and shocked, God give all of you left behind peace and comfort, blessings of love to you all…. I am sorry to hear about Kaye she was a beautiful person and will sadly be missed. my love to the family. I am so sorry to hear of the passing of Kaye. May God give you strength during this difficult time. Please know my thoughts and prayers are with you and your family. Kaye was such a supportive and cheerful woman when we worked together at Moravian Manor. She always had a smile on her face. I wish her peace and her family comfort. Anne~ I just heard of Kaye’s passing. Ironically, I saw the twins several weeks ago at Weis which is when I learned how ill she was. She is at peace now! Wishing Gods comfort for your family. So sorry to hear this…. I worked with Kaye at Moravian Manor. She filled in for me when I was on maturnity leave. She was a great person and would do anything for you.